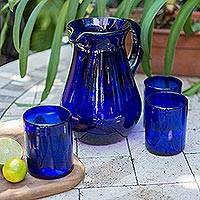 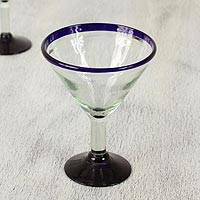 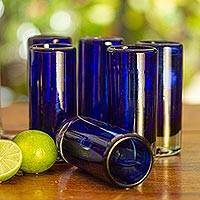 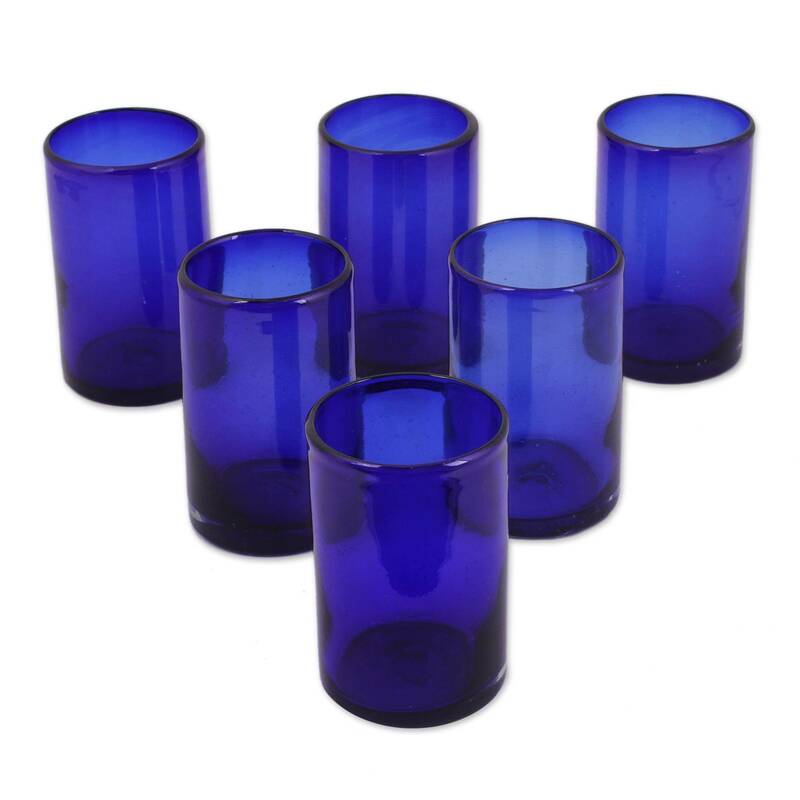 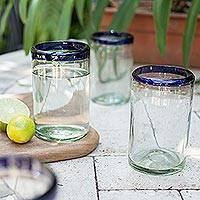 These six hand blown glass tumblers in a deep cobalt blue are suitable for casual and formal occasions alike. 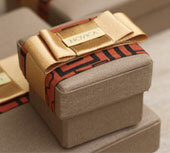 By Javier and Efren, each piece is part of a matched set yet subtle differences in shape and size make each one a unique piece of artwork. 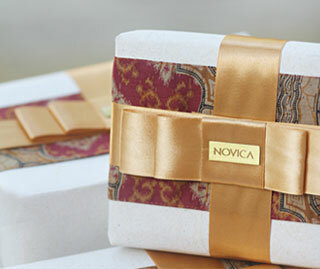 Grace your table with these stunning glasses, or give them as a gift that will be treasured by the recipient.